This paper proposed the array piezoelectric configurations on asynchronous drop timing for piezoelectric raindrop energy harvester (PREH). The effect of different types of configurations of piezoelectric on the output RMS voltage are studied. The result revealed that the voltage increased as the number of piezoelectric connected in series increased. It is found that six piezoelectric generated the highest RMS voltage, 255.2 mV. In addition, 3S–2P configuration has the highest RMS voltage generated compared to the other configurations for combination array circuit. 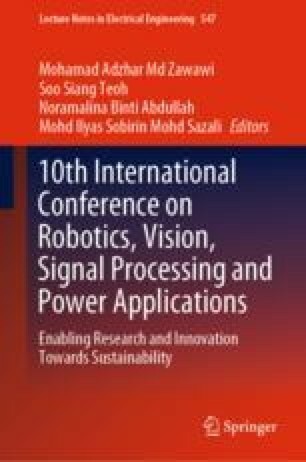 This work was supported by Research University Grant, Universiti Sains Malaysia, 1001/PELECT/814243.